Why is it a trend for Chinese celebrities to open up their own hot pot restaurants? Exploring the phenomenon of Chinese celebrity hotpot, and paying a visit to ‘Rock Hotpot’ in Beijing. 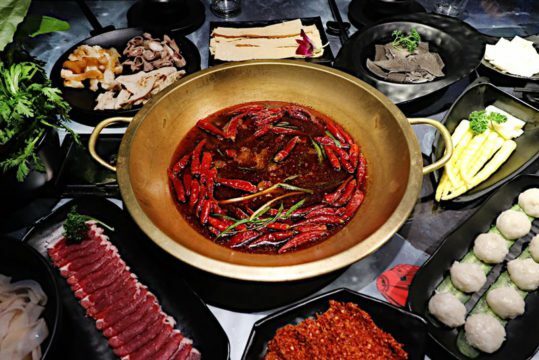 It is a growing trend that started some years ago: Chinese celebrities are opening up their own hot pot restaurants across the country. 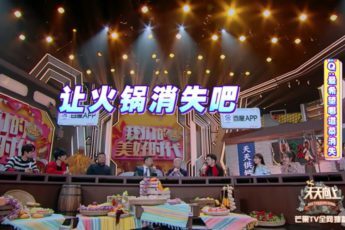 Over the past years, the celebrity hot pot boom has caught the attention of Chinese media sites and Weibo’s netizens, making ‘celebrity hotpot’ (明星火锅店) a much-talked-about topic. Alternative Beijing rock band Second Hand Rose (二手玫瑰) also opened up its very first private hot pot place in Songzhuang in 2017, while the established celebrity hot pot chain ReLaYiHao just keeps getting more popular. 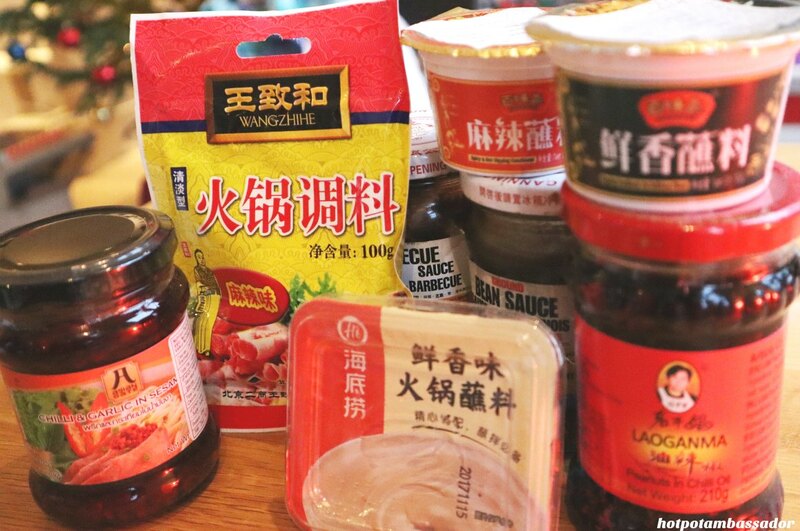 But there are also scandals; Chinese actor Bao Bei’er (包贝尔) was called out by Chinese state media in 2017 for serving fake duck blood in his hot pot joint. Spicy hotpot served by Second Hand Rose. 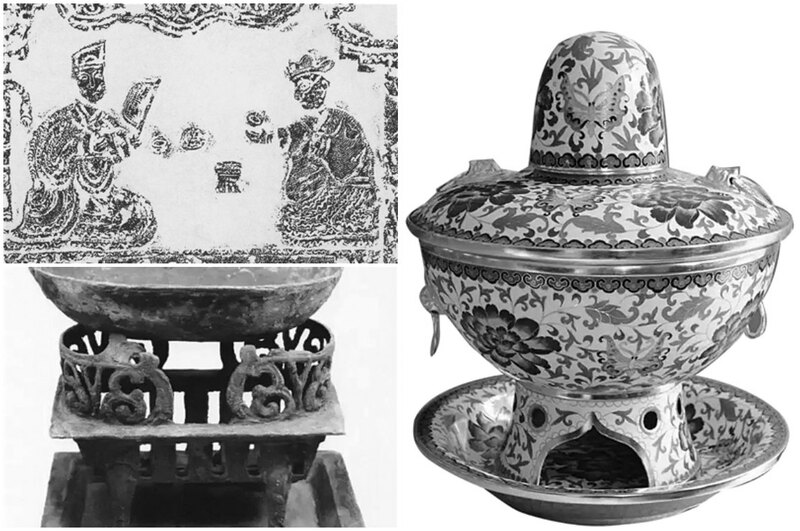 Chinese hot pot (huǒguō 火锅, literally: ‘fire pot’) has a history of over 1000 years. The tradition is thought to have derived from Mongol warriors who camped outside and had dinner together, circled around a pot on the fire. The main idea is that while the hot pot brew is kept boiling, you place fresh ingredients into the pot and cook them at the table. Nowadays, hot pot tastes vary greatly across different regions in China, but what matters most is its enjoyment: sitting with friends and family around the boiling stew, sharing food, eating slowly, and talking. Over the past five years, it has become a trend for Chinese stars to invest in hot pot chains or start their own restaurants. As early as 2009, Taiwanese singer and actor Nicky Wu (吴奇隆) was one of the early adopters when he started a Thai-style hot pot chain by the name of Lemon Leaf (柠檬叶子). He now has three restaurants in Taiwan, and one in Beijing. Many other celebrities followed over the past three or four years. Since September 2016, Chinese actor Ren Quan (任泉) started the hotpot chain ReLaYiHao (热辣壹号) together with fellow celebrities Li Bingbing (李冰冰) and Huang Xiaoming (黄晓明). The chain now has branches from Beijing to Nanjing, and, according to the latest media reports, is fully packed every night. Popular Chinese actress Deng Jiajia (邓家佳), born in Sichuan, also opened up her own ‘HI hotpot’ (HI辣火锅) in Beijing last year. Celebrities Eric Tsang (曾志伟), Chyi Chin (齐秦), Xu Zhiqian (薛之谦), and many others, have all opened up their own hot pot restaurants since 2013. Ren Quan, Li Bingbing, and Huang Xiaoming: the famous investors behind the “Re La Yi Hao” hotpot chain. The reason China’s celebrities love the concept of hot pot is simple. With a fanbase of millions, Chinese celebrities use their fame and influence to bring business to their restaurants. Chinese actor and entrepreneur Ren Quan, for example, has a staggering 11,5 million fans on his Weibo page – the perfect place to promote his latest hot pot branch. The threshold for opening up a hot pot eatery is also low because it does not require as much professional knowledge as needed for other types of restaurants; for hot pot, a restaurant basically has to serve its customers a proper broth and the right ingredients. There is no need to hire high-end restaurant chefs. 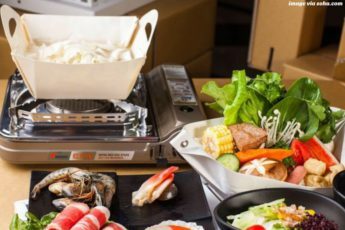 Hot pot restaurants are relatively easy to manage and need far fewer investment costs than many other types of restaurants. 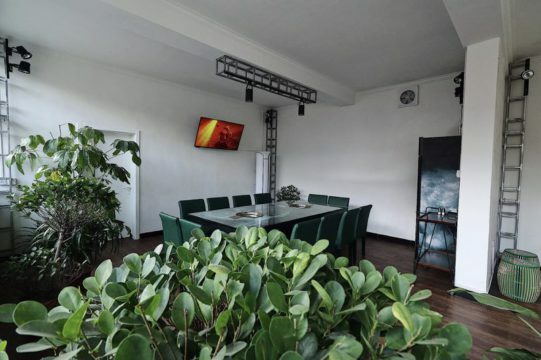 Besides the fact that they are easy to set up and manage, there are other reasons why so many Chinese celebrities are choosing for this type of restaurant. 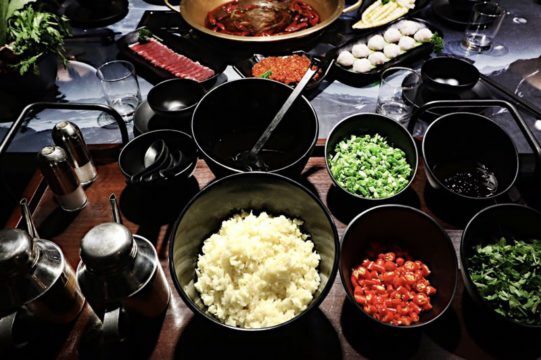 It is a dining style that is suitable for all audiences, young and old, and is popular across China; no matter if you are in Beijing, Sichuan, or China’s coastal areas, there is a strong demand for Chinese fondue and a great freedom in varying between broth flavors and ingredients. Lastly, the concept of hot pot itself is ideal for duplicating. 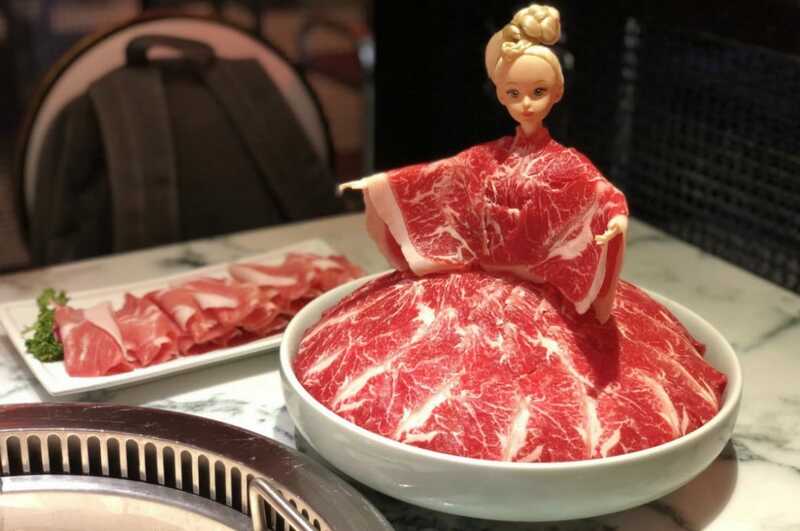 Since many Chinese celebrities are choosing to start hot pot chains with multiple branches, this genre makes it easy to start the same model in various places. What’s not to love about it? As easy as it sounds, stepping into the hot pot business is not all roses for Chinese celebrities. 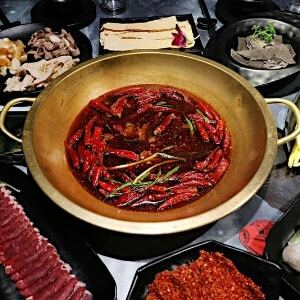 In March of 2017, Chinese actor Bao Bei’er (包贝尔) was caught in controversy when journalists exposed that the Harbin branch of his LaZhuang Huoguo (辣庄火锅) served its customers fake duck blood, a popular hot pot ingredient. The branch passed off cheap ox blood as duck blood, which is much more expensive. 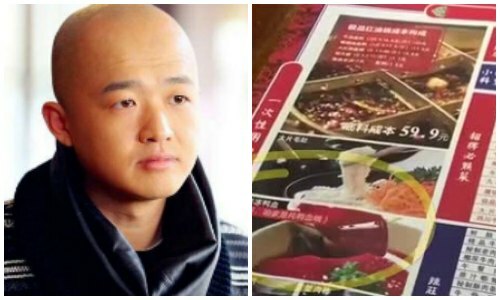 Since Bao Bei’er is the face of the restaurant, it was him who became the target of netizens’ anger. The hashtag ‘Bao Bei’ers Restaurant Exposed’ (#包贝尔火锅店被曝#) was viewed more than a million times on Weibo. Pricy ox blood sold as ‘duck blood’ in Bao Bei’er’s hotpot restaurant. Bao Bei’er later publicly apologized to his fans and customers, saying he took full responsibility for mismanaging his restaurants. As easy as setting up a hot pot place might be, it is essential for celebrities to ensure its service and quality. In the end, it is not the restaurant staff but the celebrity name that will be dragged through the mud if anything goes wrong. 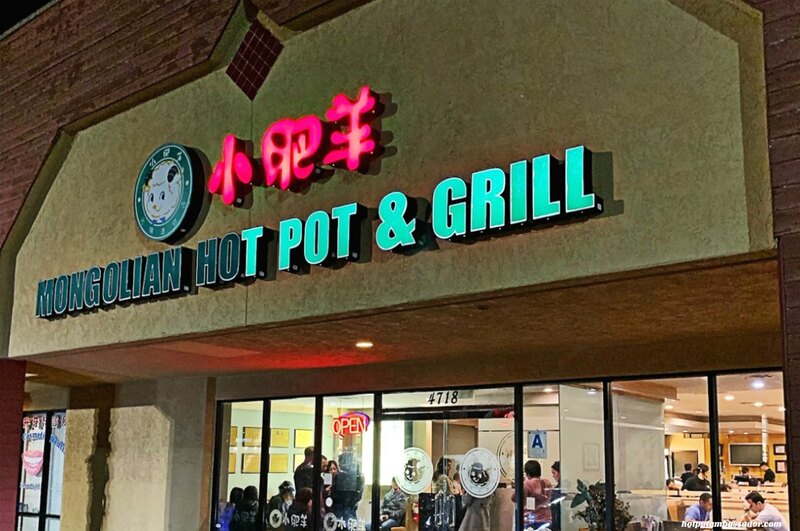 In 2017, another famous name has been added to the list of celebrity hot pot restaurants. 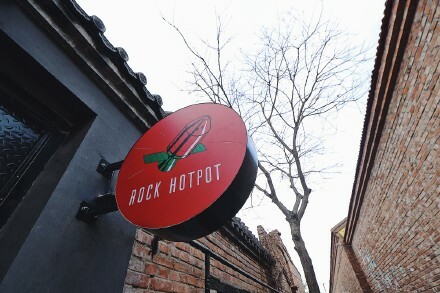 Beijing rock band Second Hand Rose (二手玫瑰) opened its private hot pot diner ‘Rock Hotpot’ (摇滚火锅) in the Songzhuang art district, the biggest artist community in Beijing. Rock Hotpot in Songzhuang, Beijing. Lead singer Liang Long (梁龙) is a lover of both rock music and hot pot and initially opened the diner as a trial. Making all broths and sauces from scratch, each member of the band has his own soup base that reflects their personality. 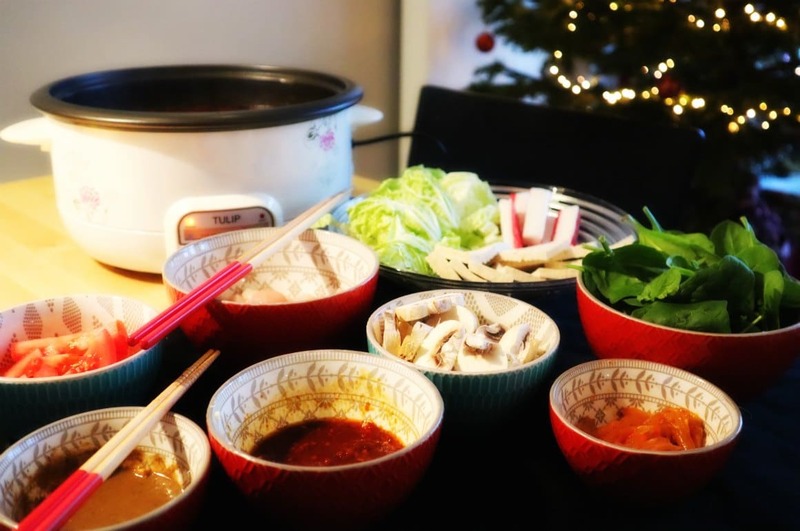 Customers can book their private table (there is just one private table available every night), or purchase the ingredients for takeaway hot pot. According to Liang Long, the hot pot restaurant only adds to the image of the band; both hot pot and rock music have the same powerful, quick-boiling “woosh” vibe to it. For now, the opening of Rock Hotpot has brought Second Hand Rose nothing but good things, Liang Long told What’s on Weibo. Not only does the band enjoy experimenting with different flavors and ingredients, the restaurant also brings them closer to their fans and friends who head out to Songzhuang for a night of hot pot together. Private dining space at Second Hand Rose’s Rock Hotpot. 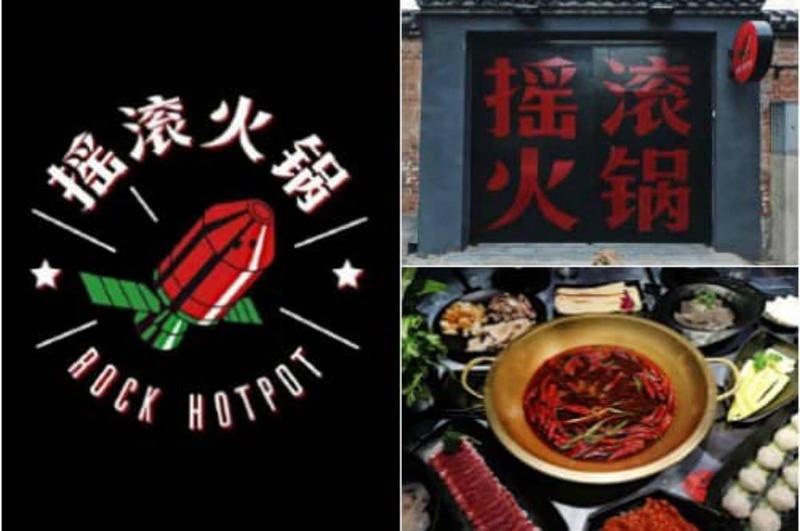 In the near future, Rock Hotpot hopes to open up a bigger restaurant to welcome more fans and food lover to their Rock Hotpot. They won’t be the only Chinese celebrities to do so – having hot pot with your idol is the latest hype in the world of showbiz and Chinese fondue. Check out our visit to Rock hotpot in this video. Notice: This article originally appeared on What’s on Weibo. Beijing, Tongzhou District, Songzhuang Town, Xiaoqiao West Street No. 34.